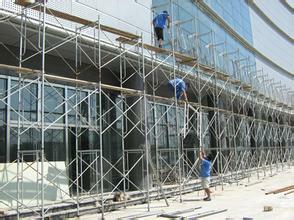 Frame scaffolding : scaffold is used in construction scaffolding, one of the most widely used of the frame scaffolding. 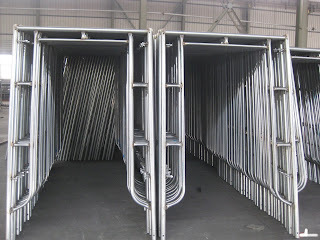 Because the frame show "door" word, so called the door or gate type scaffold, also known as scaffolding frame. 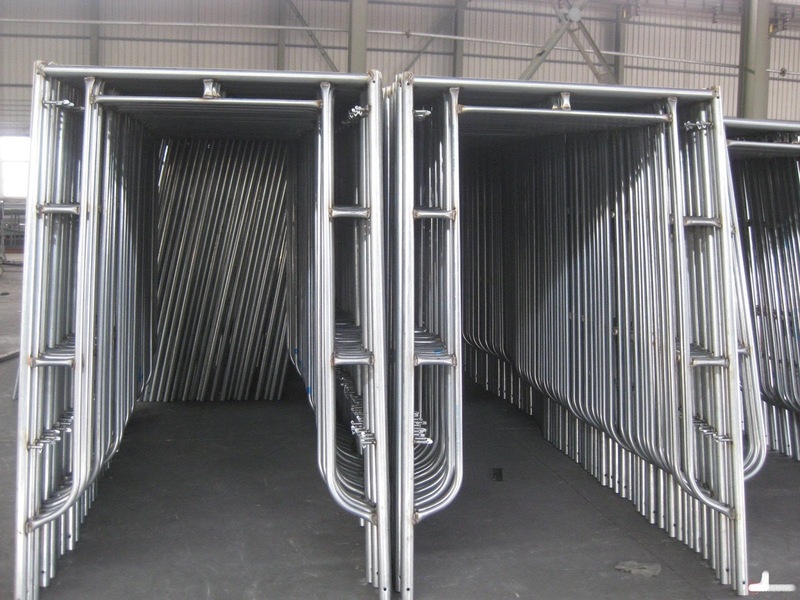 Cuplock scaffolding: cuplock scaffold is a new kind of socket type steel pipe scaffold. Scaffolding original toothed cuplock joint, a spell demolition rapidly, energy saving, stable and reliable structure, equipped with perfect, strong commonality, large bearing capacity, safe and reliable, easy to machining, but not easily lost, easy to manage, easy to transport, the characteristics of wide application, big step to improve the working efficiency. Has several times won the international and domestic various awards, is the ministry of construction, 2000 years ago one of ten key to promote the new technology. 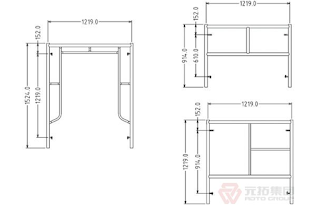 GB 24911-2010 cuplocks this standard fastener type steel pipe scaffold components of 5.2, 5.4, 5.6, technical content is mandatory, the remaining provisions is recommended. With this standard of housing and urban-rural development of the People's Republic of China. This standard is of housing and urban-rural development technology under centralized unit under centralized construction standards.